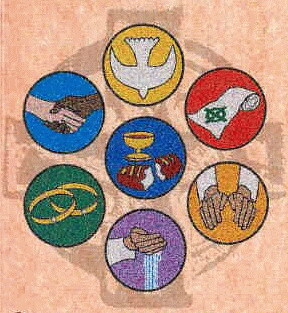 The seven sacraments are God's gift to each us. They allow us to grow closer to him and to deepen our faith and commitment to the Church. Saint Peter Chuch is pleased to offer parishioners a chance to deepen their personal faith through the seven sacraments. We have enriching programs to support your growth and experience the sacraments. Please use the links to explore and learn more about the sacraments and our sacrament preparation programs.